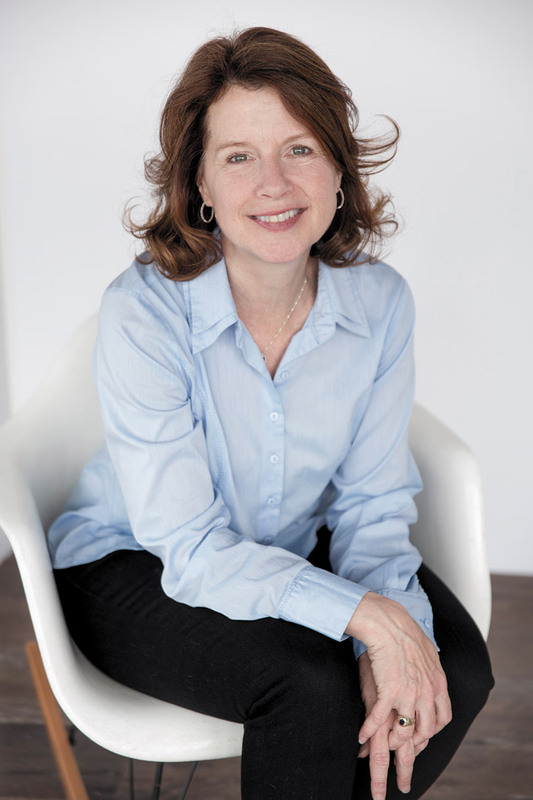 Janet Graham Borba gets shows done. That includes what’s arguably the most ambitious television series ever produced, the HBO epic fantasy Game of Thrones. As HBO’s senior vice president, West Coast Production, Borba runs what’s known as physical production—the art and science of translating sweeping creative visions into copious shooting schedules, detailed budgets and the right production teams to bring them off. Throughout production, she oversees time, money and, critical to the HBO brand, quality. As she puts it, “It’s all geared toward how should we make it, and how can we make it really well?” In the case of Game of Thrones, that gives her operational oversight of a show that now costs more than $100 million per 10-episode season to produce. It’s one of several projects on her desk at any one time. The list includes the forthcoming limited series American Lion about Andrew Jackson, which draws on her production success with John Adams, the miniseries that swept the Emmys in 2008. The University of Southern California had no trouble seeing the connection and accepted Borba into its prestigious Peter Stark Producing Program, where she gained an MFA and entree into the entertainment business. 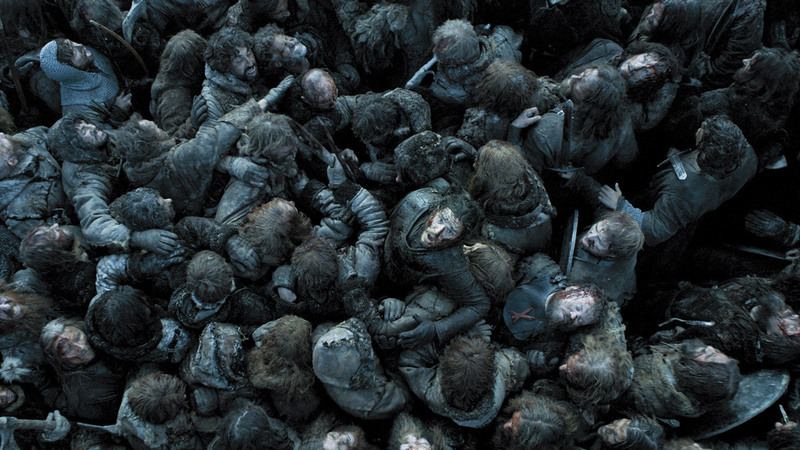 We caught up with Borba to chat a bit about college, career and the making of Game of Thrones, condensed and edited below. The only topic off-limits was the show’s upcoming Season 7. Because then she’d have to kill us, and, as she has demonstrated for six seasons, that would not be pleasant. 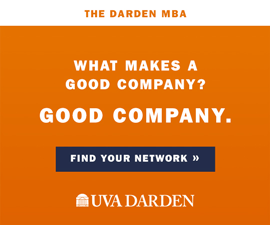 Give us a sense of your experience at UVA. Well, it was mostly a spectacularly good time for me. 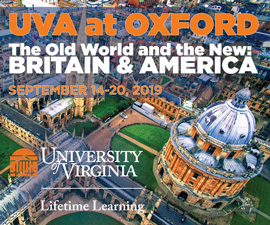 I started in the fall of 1975, so while UVA was coed, my class wasn’t 50-50 yet, and there hadn’t yet been a full generation, if you will, of students that had come to school there, at a fully coed university that was accustomed to being a fully coed university. So there were aspects of being there, for a very young 17-year-old girl, that weren’t always perfect. There was a whole thing in the Cavalier Daily, a letter to the editor about how girls at UVA were mere pits compared to the peaches down the road [Cavalier Daily, Jan. 15, 1976]. We all made T-shirts—I wish I still had one—that said, ‘Peach Pit,’ and kind of wore them with pride. Someone came to talk to me about giving to the University, and I mouthed off a little bit about the feminist trajectory of my experience, and they said, all right, well then you have to come to UVA and talk about that. And I came and did a talk at the Women’s Center [Oct. 23, 2002], and suddenly I was back. And from that came this ask to sit on the advisory board for the [Virginia] Film Festival, which I love, which brings me back to the Grounds every couple of years. And so life is long, you know? And in that way, I would say my experience at the University has been really, really, really, really powerful. You’ve described the business as an apprentice-oriented culture. For you, was that jobs from hell, or caring mentors? My first job in the business, other than internships, was assisting this extraordinary man called Jim Abrahams [writer/director of Hot Shots! and, before and after Borba’s time with him, writer for The Naked Gun franchise]. You always want to go to work with people who work in comedy, because they come to work every day, and their whole life force is about, can I get somebody to laugh? There is so much lightness and balance in that, in the ability to seek humor in work that is sleep-depriving, stressful, and expensive. So he was spectacularly generous, both in teaching me things, and in unintentionally giving me good habits in the movie business, because he was kind and had good manners, and was responsible and collaborative. And I think young people learn a lot of their working habits from their first job or two. And so for him to be my boss for the first few years of my filmmaking career was a gift. Let’s get to Game of Thrones. Did you know what you were getting into? Game of Thrones landed on my desk, because I’d done so many international miniseries and films up until that point. So the script landed, and I could see that it was a fantastic piece of writing with a great cliffhanger ending for a pilot. I read that, and then I was headed off on vacation, so I took the first novel with me. I was going on a river rafting trip, so I had to take things that were analog, right? I took a paperback with me of the first book. And by the time I was at page 100, I was like, I am all in. And then I read all four of the first books in a mad go. My family started feeling like I was declining the privilege of feeding them. Now could I have predicted that so many people around the world would react to it the same way I did? No. But I knew it would be big. I just didn’t know how big. Give us a taste of the logistics of shooting each episode across three far-flung European locations. I want to use the word unique appropriately, but it is, I think, unique to Game of Thrones. Most of our seasons have been 10 episodes. And so as a loose rule, every director directs two episodes. And we carry those directors with us almost the entire schedule. So we start with two full shooting units in Belfast, and then we shoot a few weeks, and then one of those units peels off to our southern location, wherever that may be [Spain for Seasons 5 and 6], while the other unit continues on in Belfast. And then, when they’ve finished shooting all the southern locations, they come back to Belfast, and the two units shoot side by side till the end of the season. And then somewhere near the end of the season, depending on the weather we need, one of those units peels off to Iceland to do the icy landscapes. So our directors and our actors move back and forth between units, between countries, and between episodes, across the entire calendar. It is extraordinarily challenging, and it all comes out of the brain of one of our producers, who’s a guy called Chris Newman, and he has come up with our crazy jigsaw puzzle. But it works. Just don’t get me fired. We promise, not for this, anyway. What was the most difficult episode to produce? Probably the very first one, because everybody was on a learning curve, right? The show didn’t have its personality yet. After that, the most challenging to make would probably be what we call the “Battle of the Bastards,” [Episode 9] of Season 6, just because it was all the things they tell you never to do, all at the same time. It was stunts and visual effects and horses and children. The team, they joke all the time about how every summer, they aren’t Game of Thrones; they are Game of Meetings, because they do their first set of storyboards of a big sequence, and then everyone sits around the table—department heads and writers and producers—and talk it all through, frame by frame by frame. And then they go back and they redraw it, and then they animate it, and then they sit down all together again, and they talk it through frame by frame, and they figure out how they’re going to execute it. And then more crew members come into the conversation, and then they go back and they tweak it, and the show is beautifully prepared. What advice do you give people who want to go into the industry? It depends a little bit on what you want to do. If you want to do what I wanted to do, which is to produce, then there are a lot of different paths. You can sort of scramble around for that first foothold and then just be smart and present, and be the first one in and the last one out, and all of those things that show passion and attention. If you want to be a director, then go do it. Everyone’s got a camera in their pocket. You know, go figure out how to tell a film story. Make them, and show them to your friends, and take their notes, and learn, and then go make another one. If you are an actor, go act in everything you can, because it’s about hours of mastery, and go get a graduate acting MFA at a good school, and do your work. And then for everybody who wants to be in a storytelling medium, you sure as heck better be a reader. You better be somebody who is reading the newspaper and reading novels and reading nonfiction and reading history, and watching movies and watching shorts, and watching television, and learning everything you can about what is a story well told. And get yourself into the theater. Do everything you can to absorb story. Janet, you go lady! As an Echols RA! You were the real deal. You have aged well. God Bless, Jim huber, clas1980, track and x/c.